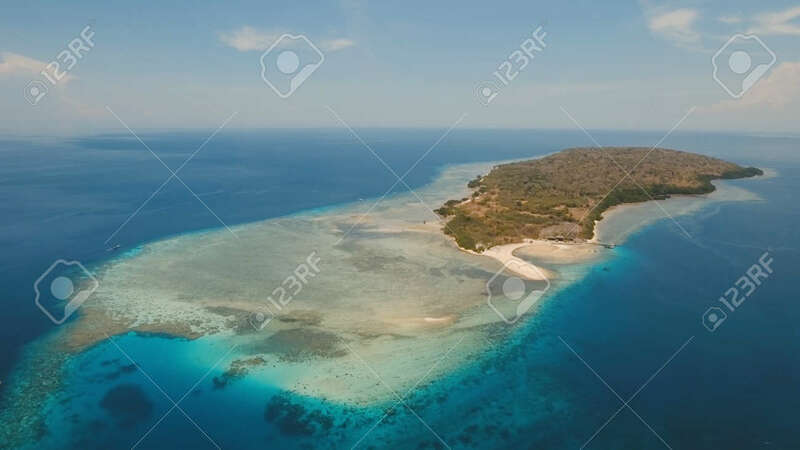 Aerial View Tropical Island Menjanga With White Sand Beach. Coral Reef, Atoll On Menjangan, Colorful Reef And Perfect Snorkeling And Scuba Diving. Seascape, Ocean And Beautiful Beach Paradise. Travel Concept. Lizenzfreie Fotos, Bilder Und Stock Fotografie. Image 95357370. Standard-Bild - Aerial view tropical island Menjanga with white sand beach. Coral reef, atoll on Menjangan, colorful reef and perfect snorkeling and scuba diving. Seascape, ocean and beautiful beach paradise. Travel concept. Aerial view tropical island Menjanga with white sand beach. Coral reef, atoll on Menjangan, colorful reef and perfect snorkeling and scuba diving. Seascape, ocean and beautiful beach paradise. Travel concept.